Ch Kellick Midnight Ticket ToRide, (Tilly), is the daughter of our Ch Firebush Dizzy Miz Lizzy and Boltiltorps Take It Or Leave It (imp Swe). She carries strong working and conformation lines. 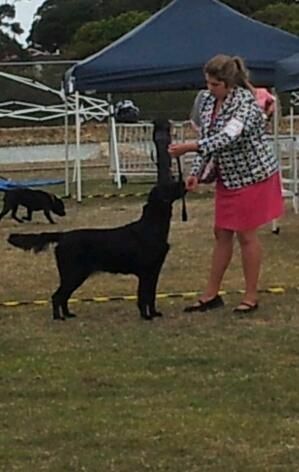 At her first show she won Best Baby Puppy in the Gundog Group. On her way to her title Tilly accumulated four Best Puppy in the Gundog group awards, one Best Puppy in Show award and two Best Junior in Group awards. 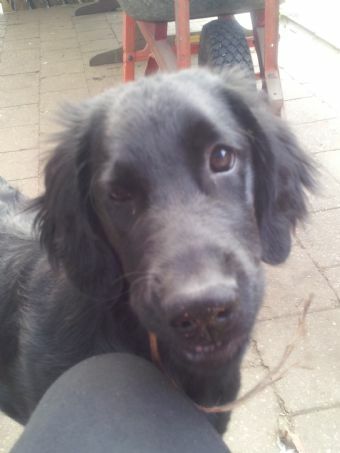 In 2014 she won the Puppy of the Year award awarded by the Flat Coated Retriever Association of Victoria. She has had very limited showing since then. 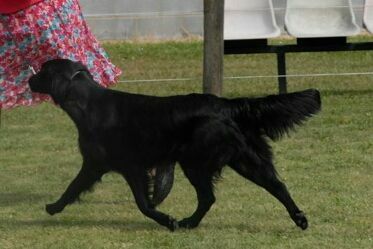 We are forever grateful to Peter and Helen Eley (Kellick Flat Coated Retrievers), for breeding her for us.